Boca Raton is located in the heart of Palm Beach County on the east coast of South Florida. 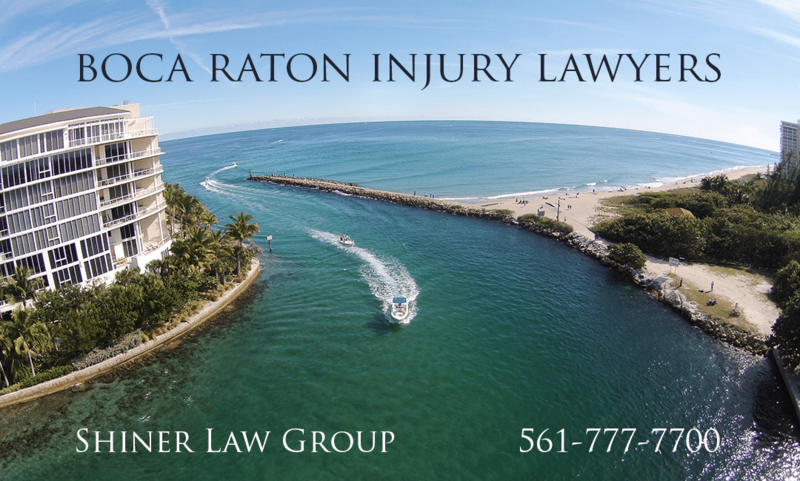 Boca Raton is also the place Shiner Law Group calls its home for its main office. 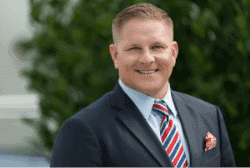 If you are searching for the best personal injury lawyer in Boca Raton and you came upon our law firm or auto accident lawyer David Shiner’s profile, then you are at the right place. The Shiner Law Group handles a variety of different personal injury cases including car accident injury cases, wrongful death lawsuits, motorcycle accident claims, medical malpractice lawsuits, slip and fall injuries, truck crash accident cases, and other types of negligence and contingency cases. Some interesting facts about Boca Raton involve the construction of the Florida East Coast Canal and the Florida East Coast Railway in the 1890s. After the Florida East Coast Railway was established, a group of 18 pioneers settled Boca Raton and transformed it into a small agricultural community that specialized in pineapple cultivation. By May of 1925, at the height of the Florida land boom, Boca Raton was incorporated. Following the construction of the Florida East Coast Canal and the Florida East Coast Railway in the 1890s, a group of 18 pioneers settled Boca Raton and transformed it into a small agricultural community that specialized in pineapple cultivation. By May of 1925, at the height of the Florida land boom, Boca Raton was incorporated. Visit Boca Raton’s City Website. Addison Mizner, a respected architect of his time, was commissioned by the city council to build a resort-style community, and from that blossomed the beautiful Cloister Inn—today’s Boca Raton Resort & Club—which survives as one of the city’s most recognizable landmarks. Despite many of Mizner’s designs failing to come to fruition due to the land boom’s fall, much of his Spanish-Moorish style reigns throughout Boca Raton today. One such example was his design for Boca Raton’s original town hall, which was completed by William Alsmeyer, a Delray architect, in 1927. By the 1970s, Boca Raton’s population surged to 30,000 as a result of westward land expansion that pushed into the Everglades. In 1967, IBM established a computer facility in Boca Raton, and by 1981, at the same facility, developed the first IBM personal computer. Today, Boca Raton serves as the heart of south Palm Beach County with 200,000 residents, boasting a beautiful metropolitan area consisting of 46 parks, three public beaches, two golf courses, several tennis centers, outdoor trails and amphitheaters, as well as premier cultural and historical destinations. With so much to see and do in Boca Raton, your family will surely enjoy all the city has to offer year-round. Click here to learn more about Boca Raton. As one of Florida’s most vibrant coastal cities, Boca Raton offers a myriad of enriching attractions. From Morikami Museum and Japanese Gardens, to Mizner’s Park and the Boca Raton Museum of Art, residents and visitors can break from the beach and enjoy a fun and engaging experience. Want to entertain the family? Stop by Sugar Sand Park, which houses a tri-level playing area, Science Explorium, natural trails, and a carousel. Need to fuel your excitement? Boca Raton’s dining options are rich and varied, with many locals opting for the more upscale restaurants and venues located around Mizner Park. The opportunity for much-needed shopping is also present throughout Mizner Park, as well as the Town Center Mall, where visitors can shop brand favorites, including Burberry, Coach, Cartier, Macy’s, and many more! Did you know… Actress and singer Ariana Grande was born in Boca Raton? President Donald Trump and WWE CEO Vince McMahon have also resided there. As with many popular destinations, residents and visitors are encouraged to exercise caution when dining, shopping, or partaking in the many attractions throughout Boca Raton. Not only are slip/trip and falls, car accidents, boating accidents, and premise liability cases all too prevalent in Florida, but negligent security around major tourist destinations can also be an issue. In fact, the Shiner Law Group and its seasoned team of attorneys are engaged in a mall murder case against the Town Center Mall. Having fun while in Boca Raton is virtually guaranteed, but staying alert and safeguarding loved ones can prove the difference between an enjoyable night out and heartache. I can't say enough about not only the attorneys handling the case, I'd like to include the staff. Too often, it seems people get lost in the shuffle when dealing with unpleasant issues, such as a motor vehicle accident. I was hit by a vehicle without insurance, and thought all was lost. In addition to getting my medical bills negotiated down to a level that were able to be paid by my small policy, they did so with an amount of recovery I didn't expect. All the while, everyone involved were very attentive and most important.....very nice. That goes a long way in what otherwise is a very stressful event. I can't imagine I'd send a referral to anyone else.